Two decades practice: still joining the dots. Of German–Indian heritage, the physically compact 51-year-old father of a teenage daughter is co-founder, with his partner Naomi Cameron, of the Hobart School of Iyengar Yoga. 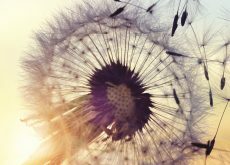 Arjun finds that his concurrent work as a general practitioner, yoga teacher and writer provides insights into the interdependence of these disciplines. In the spirit of the yoga sutras, Arjun believes that yoga and medicine share a common ground of alleviating suffering and promoting optimal health. Patanjali’s advice to avert coming troubles also orients his preventative approach to medicine. Arjun completed his medical studies and internship in Sydney in the early 1980s and began practicing yoga in 1985 with Peter Thompson and Eve Gyrzbowski at the Iyengar School in the Haymarket. In the early 1990s Arjun completed his three-year teacher training with Pixie Lillas at Balmain Yoga School and taught yoga and practiced medicine in Sydney’s outer suburbs. He found convergences between his yoga and medical training. “My background in Iyengar yoga piqued my interest in musculoskeletal health, which was not well taught in my undergraduate medical classes,” Arjun recalls. Shortly after completing his medical training, Arjun made a life-changing decision to divide his time between medicine and yoga. Dissatisfied with working and travelling punishingly long hours as a resident doctor, he decided to take a break to explore stress-reducing modalities such as Tai Chi, Zen meditation and Iyengar yoga. It became apparent that if he were to continue to enjoy practising medicine he would have to work part time. This ultimately led him to specialise in general practice, allowing him to more easily determine his own working hours compared with other medical specialties. Teaching yoga wasn’t really on his radar at the time, but he was drawn to teacher training as a way to deepen his practice. After completing his early Iyengar certification, Arjun taught yoga and worked in emergency and palliative care and as a medical superintendent in the outer suburbs of Sydney. 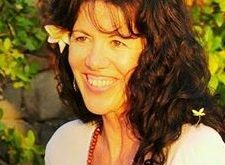 He and Naomi moved to Hobart in 1993 and rented a flat above their residence, in which they practised and taught yoga, before eventually establishing their school in 1995. Recognising the advantages of being a doctor who is also a yoga teacher, he is careful to separate the two professions. 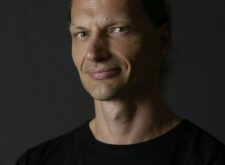 He has written in the Iyengar Yoga Association of Australia journal about the benefits, challenges and dilemmas involved in the intersection between yoga and medicine. His yoga peers attest to Arjun’s skill in applying medicine to yoga practice and vice versa. Fellow Iyengar teacher and physiotherapist Karen Wilde has witnessed this ability to detect health issues among teachers seeking certification. “His clinical acuity and clarity in explaining medical issues is rarely found among those who train and assess yoga teachers. It is a skill that is underutilised in the teacher assessment process,” Wilde says. 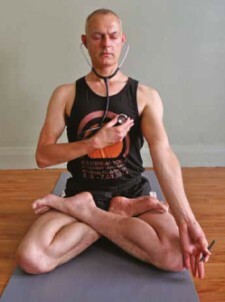 As an example, Arjun is able to discern contraindicated poses or asanas requiring modification for people on different blood pressure and cardiovascular medications; encourage injured or unwell students to seek appropriate health care; and, at times, even advise students not to come to yoga until they have resolved their ongoing medical issues. In a typical week Arjun works Monday to Friday as a general practitioner from nine in the morning until two in the afternoon. As a yoga teacher he starts the day with a pranayama session and most days practises asanas in the afternoon and teaches classes in the evening or early morning. For ethical reasons he does not generally give medical clinic patients yoga advice while working as a doctor, preferring that they see him separately at his yoga school. On the sometimes-vexed notion of ‘yoga therapy’, Arjun contends that yoga is not principally a therapy: “Yoga and therapy are different paradigms and ‘yoga therapy’ reduces yoga to only one facet of its original meaning.” He maintains that to talk about scientific evidence-based studies in relation to yoga is to risk approaching yoga with a pre-conceived cultural bias that gives greater weight to scientific evidence over and above the experiential knowledge derived from yoga. “Yoga, in valuing clear subjective knowledge over so-called facts, turns the scientific paradigm on its head,” Arjun says. To read complete profile see March 2016 print magazine edition.